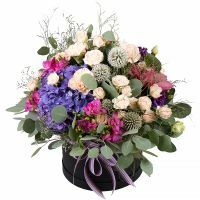 Birthday, Business, Colleague, For grandmother, For her, For mother, For young lady, Gratitude, I Miss You, Mother-in-law, Recover, Sorry, Teacher, Wedding flowers, With love, Аnniversary. Unbelievable roses in the misty pink colors, like the first rays of the sun, delight us with their tenderness and fragile beauty. 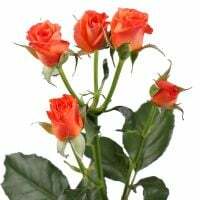 These flowers are the best proof of love and gratitude, loyalty and romantic feelings that are not fading. 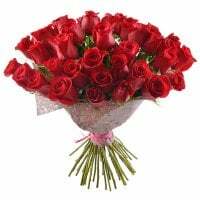 Bouquet of those lovely flowers can become a worthy gift to girlfriend for birthday or as a declaration of love or for beloved wife on Valentine's Day or wedding anniversary. 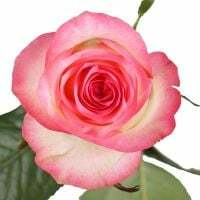 The sensuale and pure delicate roses can also be the gratitude for mother to her birthday. 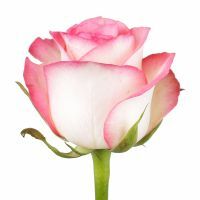 If you have your own idea about the unique bouquet of white and pink roses for your loved ones, our florists are happy to fulfill it! Very happy with your service. The photo at delivery was very nice touch. Thanks again for excellent service. Highly recommended. 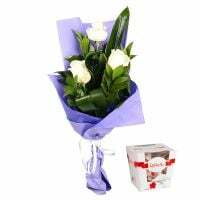 Very good quality for flowers and all overall experience! Manager response: Thank you dear Roger for a nice feedback! THANK YOU OLGA FOR OUR SUPPORT !!! Manager response: Thank you Gaetano! We are pleased to assist you and to deliver some happiness to your recipients! They did not have the flowers I had originally intended. However they were quick to offer a substitution . So my delivery didn't have to wait an additional day. My lady fair is happy... So success. Manager response: Thank you for understanding, dear sir! We are going to do as much as we can next time!